Do you enjoy an audience when you are cooking? We have wall decor just for you! At DecorativeLettering, we have wall words that not only look good but also celebrate all things culinary! 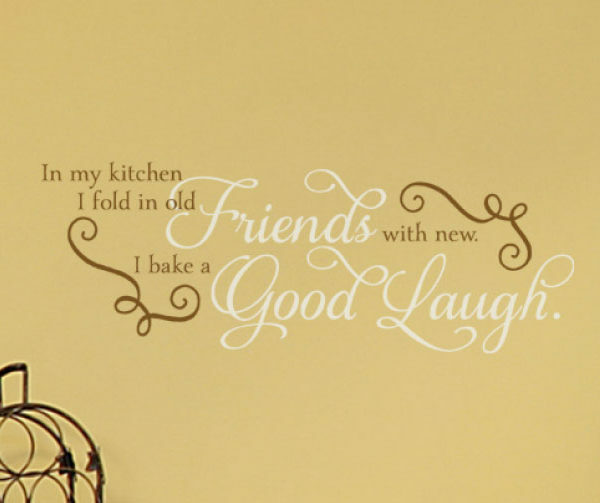 ‘In my kitchen, I fold in old friends with new. 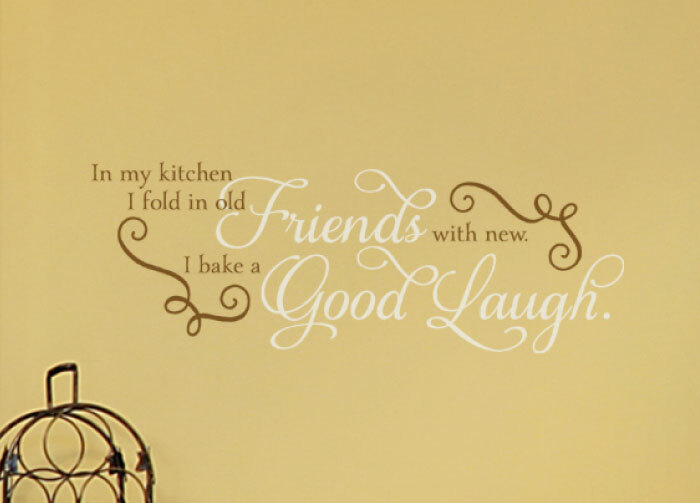 I bake a good laugh’ wall letters sum up the good times we share while cooking. They are at home on the yellow wall above the island and are the focal point in the room! 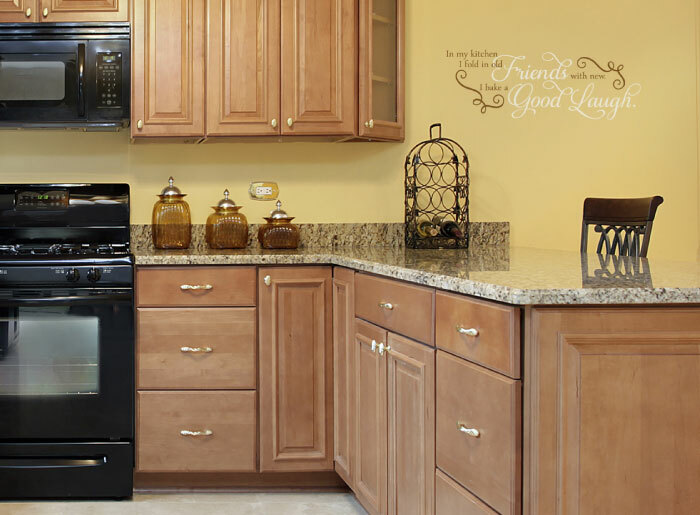 They tie in with the marble countertops, fan, and the stainless steel appliances! The wall lettering will be a celebration of old and new friendships! Our products are affordable! We have a customer award program that enables you to enjoy higher purchasing power! With every purchase, you get to earn points. Redeem the points or gift them so do sign up! If you refer us to a friend, they will get 10% off on their first purchase. Now that is a deal! 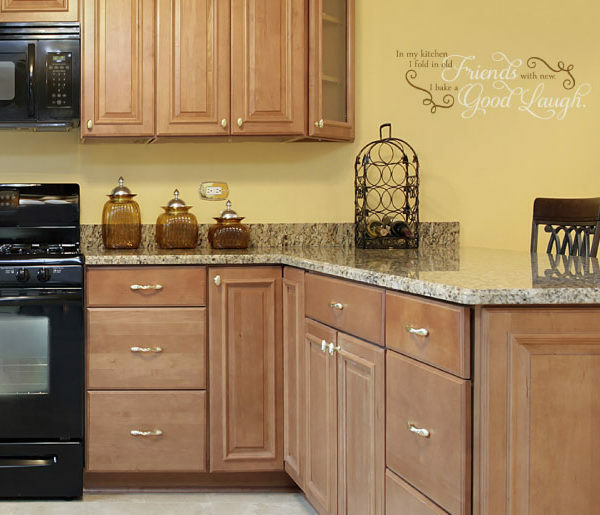 For well-lit kitchens such as this one, we recommend matte wall quotes. This enables you to see them without glare problems. They are also durable. This means that the high temperatures in the kitchen do not affect them: you will enjoy them for years to come! 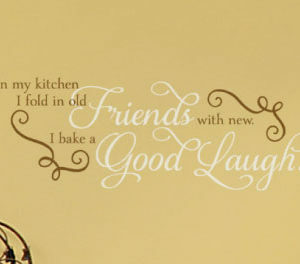 If you are looking for unique kitchen wall decor, try DecorativeLettering products. Do call or email. We would love to hear from you! Let us help you decorate with relationship building wall decals!